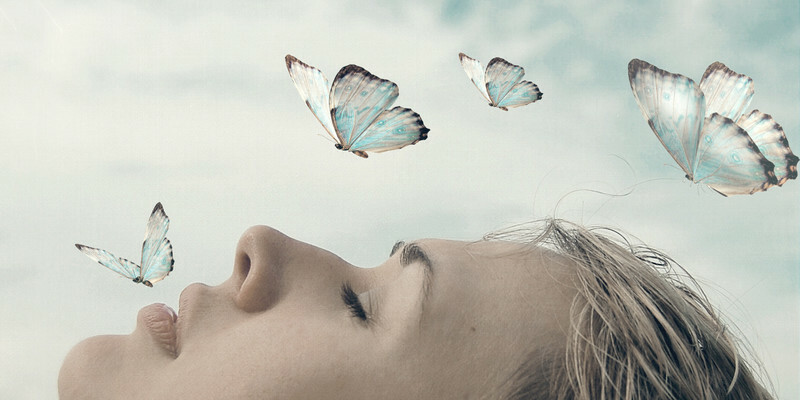 Lucid Dream is a condition where our brain is awakened in a dream. When our brains are aware in dreams, everything we dream can be realized here. For example dreams of being rich, dreams of meeting with loved ones who have died, dreams of being superheroes, all things good, bad, reasonable or absurd can all be realized through Lucid Dream. So, how do you do it? there are many ways that have been spread in the wilds of this internet, but some of them may be misleading or unsuccessful. In this post, I will share some ways that can guarantee you to be able to control dreams. Keep in mind, for those who have never experienced Lucid dream it will be more difficult to do it. Therefore, the ability of Lucid Dream must be trained continuously so that we are accustomed to and can easily do it again when we want it. To train you can follow the tricks below, which will surely lead you to successfully controlling dreams if you are diligent in practicing and have strong ambitions. We can achieve Lucid dream if we focus and have strong intentions. With this Reading books related to Lucid Dream can make your brain focus on the Lucid Dream theme. Imagine also what you will do in Lucid Dream later. Check the reality whether you are dreaming or in the real world. There are various ways to check reality, but the most effective is to stick your index finger into your palm. Whenever your finger penetrates your palm, you are dreaming, otherwise, you are in the real world. Do this often. At least you have to do this 10 times a day regularly. Hope that your finger can penetrate the hand. If you want Lucy Dream tonight, do it 25 times before you sleep. If this activity occurs in a dream and your finger can penetrate hands then just say "I have to dream" and you will lucid dream. Electronic equipment such as cell phones, TVs, and lamps greatly affect sleep quality. When all electrical equipment dies, the production of the hormone melatonin in the body will increase. This hormone function is to control the sleep cycle so that our sleep is more quality and natural. The point is you have to get rid of all the interference from the outside, let your body relax until it will bring you to sleep soundly. Set an alarm so you can wake up early. Set it 2 hours before the hour when you usually wake up in the morning. For example, you usually wake up at 6 am, set the alarm at 4 o'clock. Don't forget to close the alarm at a distance that can be heard like near the ear. Set a low alarm volume or with a slow song so you don't get surprised when the alarm sounds. Place it at a reachable and easy to remember distance, like beside our shoulders. Why do we have to get up early? Because later we will enter the ASWUA method (After Sleep Wake Up Again). After you set the alarm, you are ready to enter the SBTL method. Please sleep well, when hearing an alarm means the mind is aware of the alias awakened. Don't try to open your eyes, keep your eyes closed while turning off the alarm tone. This aims to keep you relax and be able to sleep again. If the alarm has been turned off, try sleeping again calmly. After a few minutes, your body will be very relaxed, even unable to move, but the brain is still conscious. This phenomenon is usually called sleep paralysis. When that happens don't panic or try to wake up this is the gate of Lucid Dream you have to go through. Feel the sensation of drifting, circling like riding a coaster jet. Don't be afraid that this phenomenon is not dangerous, just enjoy it. Maybe hallucinations will appear like random shadows that change and eventually will fuse. After that everything passed quickly and there will be a scene around you and at that moment you have entered Lucid Dream. It's easy? Just go back to our respective intentions, if we have strong passion we will experience it. Do the tips above regularly to get maximum results. Good Lucid Dream!